We'll never get enough of Liam's impressions! 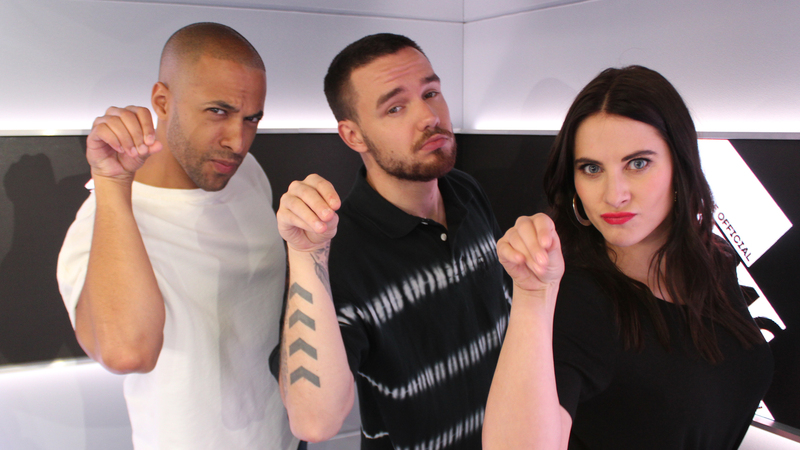 Liam Payne popped in to see Marvin Humes & Kat Shoob on The Official Vodafone Big Top 40. It's 10 years since Liam and Marv first met, after they both auditioned for The X Factor together! Liam's latest single 'Familiar' is set to be the sound of summer 2018 and is already making waves in the Top 10. Liam explained how the track with J Balvin came about and the legendary meal they shared at 'Salt Bae's' famous restaurant, Nusr-et. But Liam revealed that the hidden secret of the restaurant is actually 'Salt Bae's' rival - 'Pepper Bae'! Liam's already filmed the official music video for 'Familiar', which has got a party vibe to it to match the carnival sounds of the song! It's been inspired by 'The Way You Make Me Feel' and we can't wait to see the result. Whilst he's not out partying, Liam's back home with Cheryl and baby Bear. Though as brilliant a singer as Liam is, he said that whenever he sings a particular, high-pitched note around the house it causes poor Bear to cry! We couldn't let Liam go without hearing another of his incredible impressions. Watch the interview to see Liam attempt a One Direction classic... whilst pretending to be Hollywood star Tom Hardy! > Where did 'Familiar' land in this week's chart? See the full Top 40!